VICTORIA, BC – Phillips Brewing has announced the release of a new summer seasonal beer. Wildcard has been dealt with a heavy hand of citrus hops, and fermented with six strains of brettanomyces yeast. The beer pours a beautiful golden colour with a finger of pillow white head. Grassy sweetness and fresh hops are underpinned with flavours of banana funk and clove. Wonderfully complex, Wildcard is both rich and refreshing. 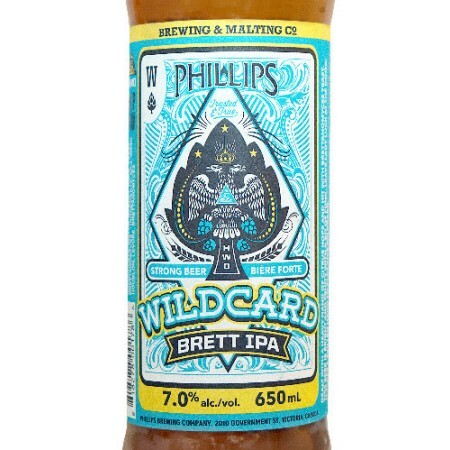 Wildcard Brett IPA is available now in 650 ml bottles at select private liquor retailers in British Columbia.